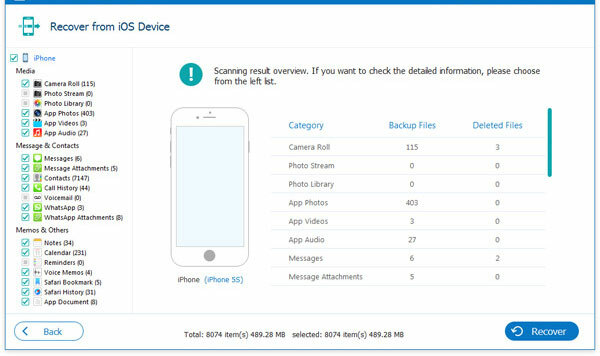 Home> Resource> iOS Recovery> How Can I Recover Data oniPhone Xs/Xs Max/XR? Apple Inc. has released its new iPhone model recently. According to the reference, these three new models - iPhone Xs, iPhone Xs Max and iPhone XR equips bigger storage space than the previous models. This is a good news for iPhone users who are going to buy a new phone because they can save more files in their device and it won't be slow. However, some users may worry that the data that they stored in the phone would lose or deleted incautiously and they are not able to retrieve them. This fear is reasonable cause iPhone data lost is not rare so you'd better master the method to recover data on iPhone Xs/Xs Max/XR or iPhone 8/7/6 in this case. To help you recover the iPhone data more effectively and safely, MobiKin Doctor for iOS is advised to help you get the data back. 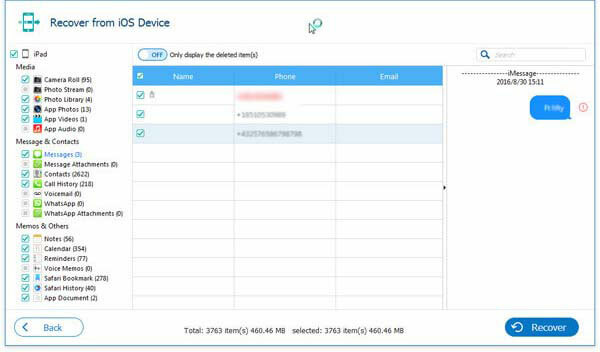 It is a professional iPhone data recovery software to help users restore deleted, lost or formatted data from iPhone, iPad and iPod. It provides two modes to get back your data- recover data from iDevice directly without iTunes backup and restore data from iTunes backup easily. You can choose one of them to get back your data according to your need. 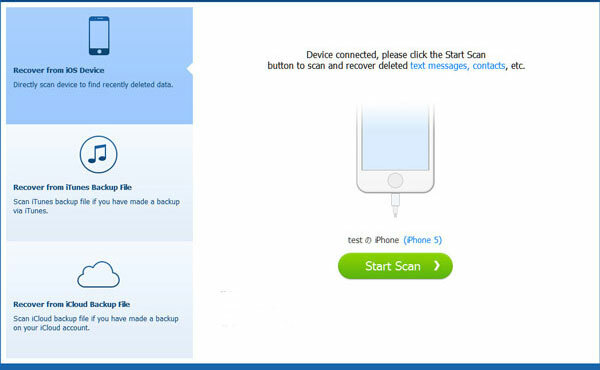 If you are interested in this tool, you can go with the steps below to recover your data. Link your iPhone to the computer and launch the program. After the successful connection, you need to choose a mode- Recover from iOS Device or Recover from iTunes Backup File as you like. Here if you select to recover from iPhone directly, the device must be jailbroken or the software will not be able to detect your device. If you do not know how to jailbreak your device, you can follow the instructions that are shown in the main interface. Click the folder that you want to retrieve in the left panel and the corresponding contents will be displayed in the right panel. Attention: unregister users cannot check the whole contents of the data. So if you want to preview all details, you need to register the program firstly. Tick all the data you want to restore, and then hit "Recover" button to save them on your computer very well. How to Transfer Data to iPhone Xs/Xs Max/XR?